The Augustin Grignon Hotel is the only building in Butte des Morts on the National Register of Historic Places. This Greek Revival style 3 story building was constructed by Butte des Morts founder Augustin Grignon in the 1840s. It served as a hotel in the mid 1800s to provide lodging for travelers using the Fox River and overland routes. In 1859 it was purchased by Peter Peterson and was used as a general store, post office and popular gathering place in the community. 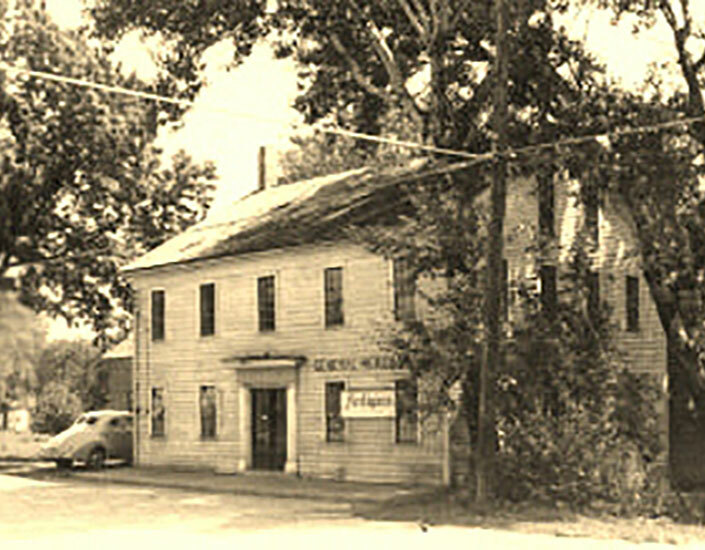 In 1901 the property was purchased by a clerk in the store, John Boe, who continued the general store in the building. In the 1950s it was used as an antique store. It is one of the oldest remaining commercial structures in Winnebago County.